Ateca is Seat’s first take on the compact SUV sector. So has this late arrival helped the Spanish auto-maker to cash-in where others may have limped along? Geoff Ashcroft finds out. Ateca is Seat’s first foray into the compact SUV world. 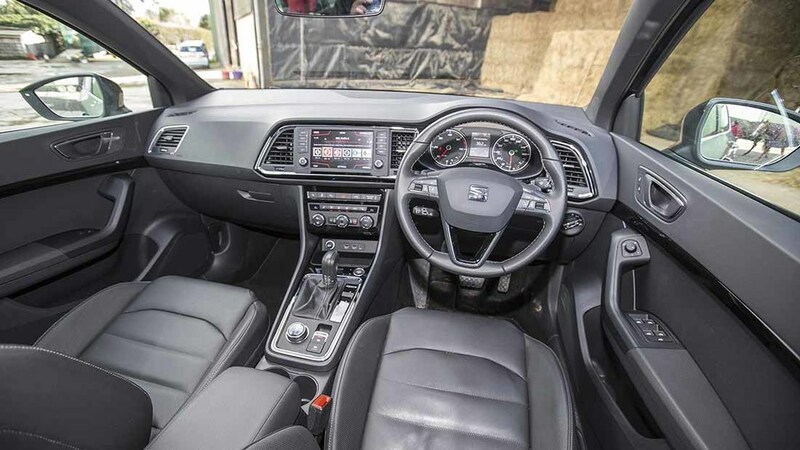 The Ateca’s interior makes a great first impression, as the scratchy plastics of Seats of old have been replaced with far nicer, soft touch materials. 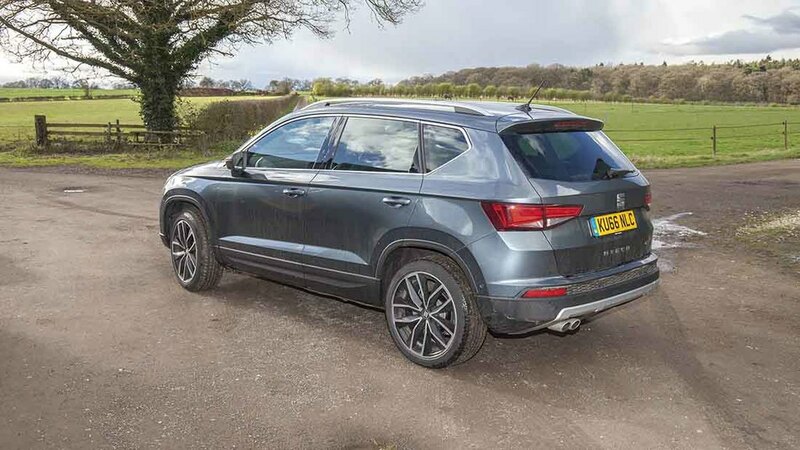 It might have something to do with this model being based on VW’s Tiguan, which rolls off sister VW Group company Skoda’s production line in the Czech Republic. Even so, it is a spacious and comfy place to sit. Seat’s take on all-wheel drive is called 4Drive, and it is only available when you take either the 150hp or 190hp 2.0TDi power units. Farmers Guardian spent a week with the higher-powered model, complete with seven-speed DSG (Dual Select Gearbox) auto transmission. Stylish Ateca is based on VW’s Tiguan platform. Drive to all four wheels is managed by a Haldex coupling, and the inclusion of a rotary controller in the centre console lets you flick through Snow and Off-road settings in addition to Normal, Eco and sports modes. Electronic trickery does the work for you, and it is effective as long as you are aware of the Ateca’s limitations once you are away from the back top. Good ground clearance helps here, though. On the open road, it is a keen and comfy cruiser, but the transmission is eager to drop from seventh at the slightest prod of the throttle. Performance is brisk, but it never feels rapid or energetic - it may be why the Ateca never rewarded with any more than 39.3mpg, which is a long way short of the combined cycle’s claimed 53.3mpg. 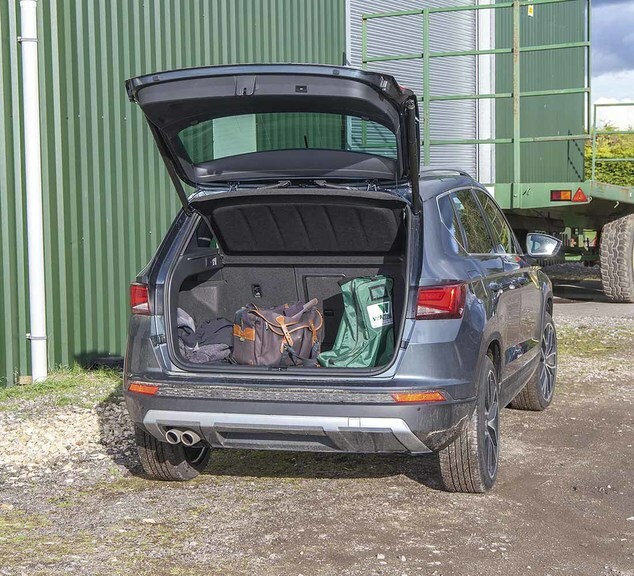 Rear seats can be dropped from the boot, though they don’t provide a flat load space. Ride comfort is firm, but not uncomfortable, and there is little body roll when working the car through corners. 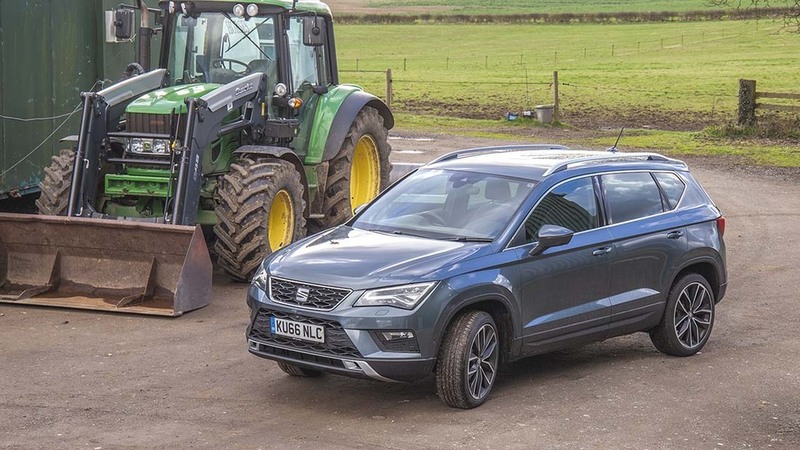 There is no denying that the four-wheel drive does its bit to help the car here, and this does make the Ateca a more enjoyable drive than some of its competitors. Bolstered seats with Xcellence trim level keep you in place too. Rear seats fold almost flat at the tug of a lever, letting you take advantage of the roomy load space thanks to its tall body style. But because the rear seats offer a lofty perch for passengers, you will find a stepped floor area when the back seats are down. Ateca has ditched scratchy plastics in favour of soft-touch materials. This is a car which is easy to get in and out of, is good to drive and comfortable on long journeys with generous headroom and legroom too. There is plenty of on-board storage with big door pockets and cubbys, and power supplies for devices are generous too. There is little to dislike about the Ateca, and perhaps the biggest stumbling block could be the price - this model is over £30,000. Opting for the 150hp 4Drive in SE-spec with a manual ‘box will trim £5,000 off the list price. Next: "I like cattle and sheep- it's what I am used to"